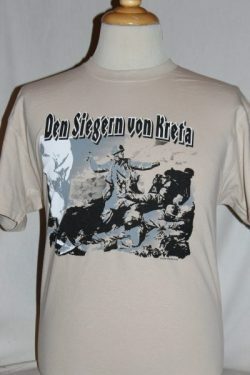 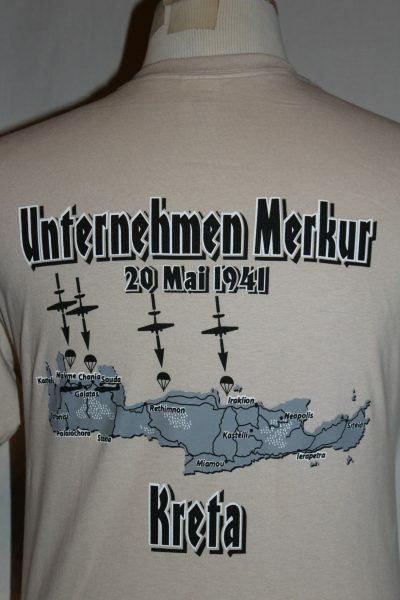 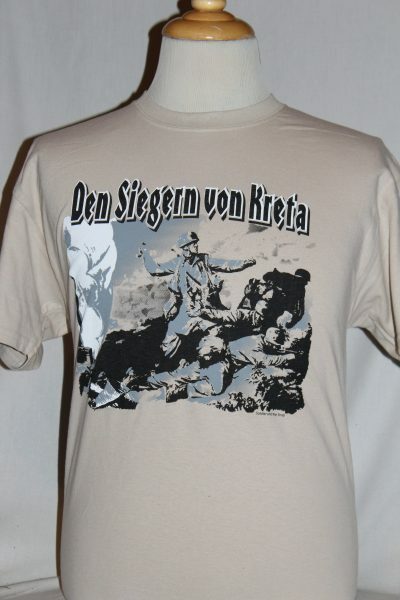 The German Fallschirmjager Invasion of Crete T-Shirt is two sided print in tan. 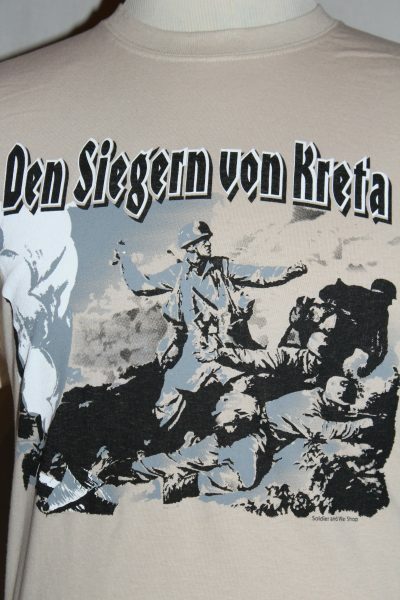 Front Design: German Fallschirmjagers [Paratroopers] in combat on the island of Crete. 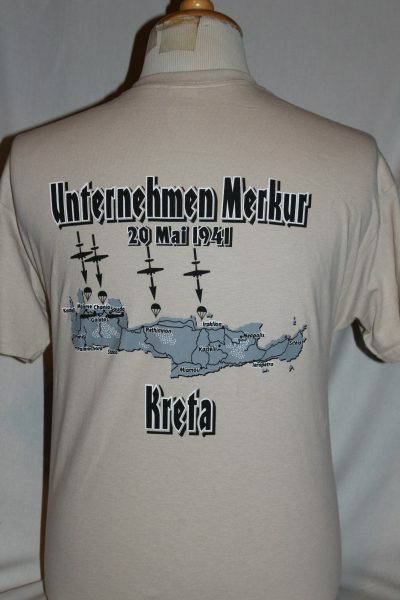 Back Design: Map of Crete and location of main drops in colors grey, black, and white.